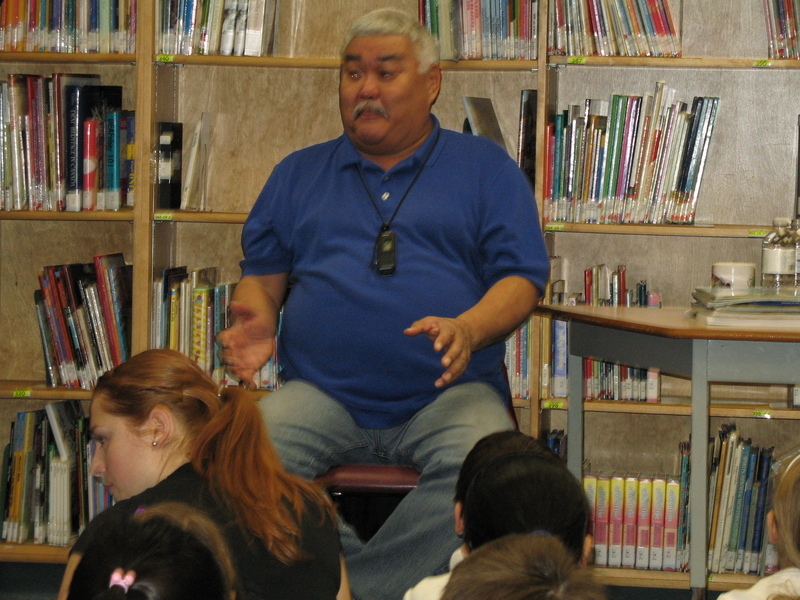 On January 17th, Inuit author and storyteller, Michael Kusugak, came to the South Slope/ BCSD library. He did two sessions of storytelling for Divisions 5-11 from South Slope and Divisions 15-17, 19 from BCSD. 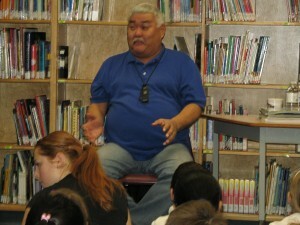 The students heard stories retold from his published books as well as some new stories. We were all fascinated with his string stories, too. Ask someone from one of the classes that were there to tell you all about it. On January 12th Eric Wilson visited Divisions 1-4 at South Slope. He got us all hooked on mysteries and writing. The students were excellent listeners and many of them received an autographed postcards for their quick thinking. Come and check out Eric Wilson’s mysteries and others at the library! We are excited to annouce 3 upcoming author visits this term.